Siemens TP177B DP Mono Touch Panel 6AV6642-0BC01-1AX0..
Siemens OP177B DP Mono Operator Panel 6AV6642-0DC01-1AX0..
Siemens MP277 Keys 8" TFT Colour Display 6MB with IP65 USB Hub 6AV6643-0DB01-B01U..
Siemens MP277 Keys 10" TFT Colour Display 6MB 6AV6643-0DD01-1AX0..
Siemens Mobile Panel 177 DP with Integr. 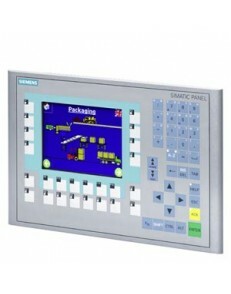 Acknowledgement Button 6AV6645-0AA01-0AX0..
Siemens SIMATIC MOBILE PANEL 177 DP WITH INTEGRATED ENABLING BUTTON AND STOP BUTTON, CONFIGURABLE WI..
Siemens Mobile Panel 177 DP with Integr. 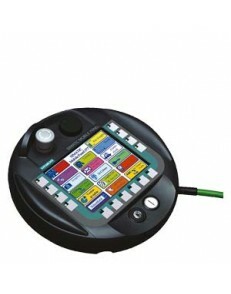 Acknowledgement & Stop Button, Handwheel, Key Switch &a..